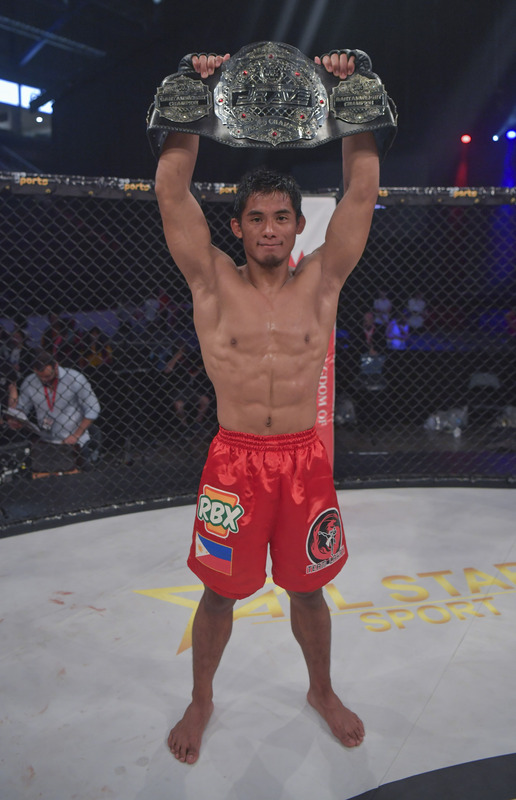 Representing Team Lakay, Stephen “The Sniper” Loman, 23, of Baguio City, Philippines is set to defend his title as the reigning Brave Combat Federation Bantamweight Champion for the second time. His challenger will be Felipe Efrain, 24, of Sao Paulo, Brazil. On November 16, 2018, Loman and Efrain will headline “Brave 18,” which will take place at the Khalifa Sports City Arena in Isa Town, Bahrain, in time for the Brave International Combat Week 2018. This will be the fourth time Brave CF is holding an event in its home country. It was on November 17, 2017 when Loman was crowned the inaugural Brave CF Bantamweight Champion. He knocked out Gurdarshan “Saint Lion” Mangat, 31, of Williams Lake, British Columbia, Canada in the first round at “Brave 9: The Kingdom of Champions” at the Khalifa Sports City Arena. His Highness Sheikh Khalid bin Hamad Al Khalifa was the one who crowned Loman as the first ever bantamweight king of Brave CF. More than half a year later, the Team Lakay fighter successfully defended the title for the first time. On June 9, 2018, Loman had his rematch with former International Mixed Martial Arts Federation gold medalist Frans “The Black Mamba” Mlambo, 27, of Dublin, Ireland at “Brave 13: European Evolution,” which took place at the SSE Arena in Belfast, Norther Ireland. In Loman’s corner was his Team Lakay teammate Honorio “The Rock” Banario, 28, a former ONE Featherweight World Champion, while in Mlambo’s corner was his Straight Blast Gym Ireland teammate Conor “Notorious” McGregor, 30, a former UFC Lightweight Champion. After five five-minute rounds, the bout between Loman and Mlambo at “Brave 13: European Evolution” was left in the hands of the judges. In the end, the Team Lakay fighter was declared the winner via unanimous decision. Training under the tutelage of Team Lakay head coach Mark Sangiao, Loman is the youngest fighter to be crowned a champion at Brave CF. Currently, he is the longest reigning champion in the Bahrain-based MMA promotion. Beating Mlambo for the second time improved Loman’s professional MMA record to 10 wins and 2 losses. The Team Lakay fighter is riding a five-bout winning streak. On the other hand, Efrain is coming out of a redemptive win. On March 2, 2018 he lost to Mlambo via knockout via punch in the first round at “Brave 10: The Kingdom Rises” at the King Hussein Sports City in Amman, Jordan. But on August 18, 2018, Efrain returned to the Brave CF cage with a victory. He only needed 40 seconds to knock out Arnold Quero via knee and punches at “Brave 14: Morocco” at the Omnisports Indoor Club of Tangier in Tangier, Morocco. Efrain trains at the Chute Boxe Diego Lima. The gym in Sao Paulo is also home to veteran bantamweight fighters like Thomas Almeida.